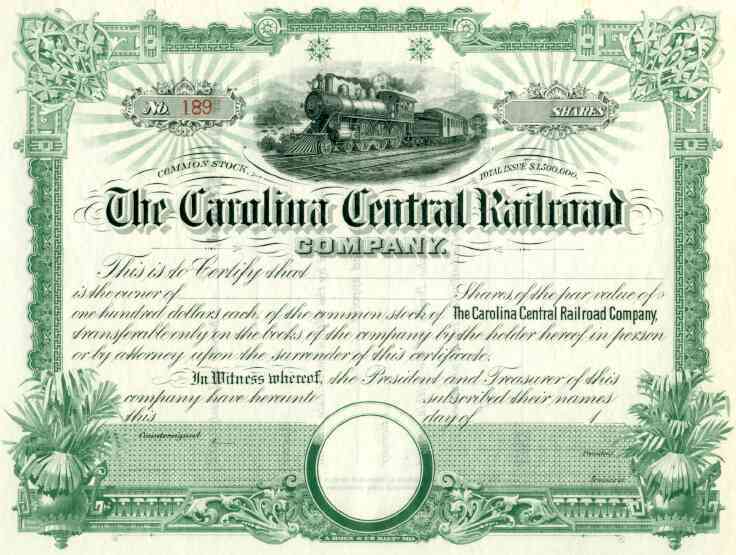 Unissued Carolina Central RR Stock Certificate. Attractive scripophily railroad certificate of this turn-of century North Carolina line. Eventually absorbed by Seaboard Air Line RW. EF condition.